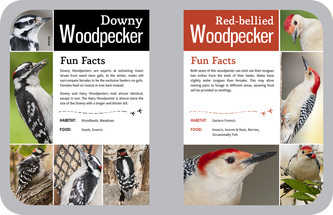 This is an exhibit book designed for Oregon Ridge Nature Center. Varro Book, a sustainable and eco-friendly exhibit fabricator, will print and construct the heavy-duty exhibit book. The gray outline on the rounded corner pages represents the final cloth stitching that will be on the assembled product. The pages are Letter size. As a birder, photographer and designer this project was close to my heart. All photography, illustration and design is my work, no stock was used. 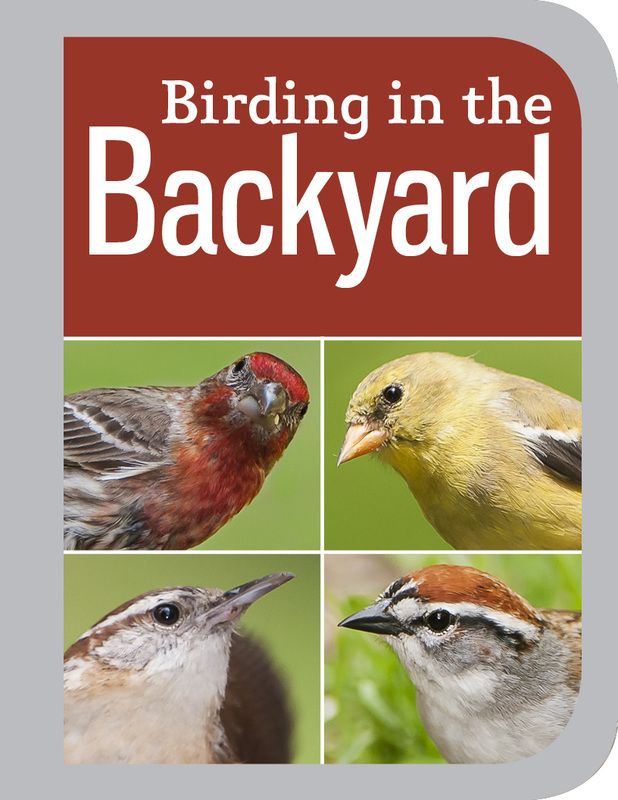 The book exhibit is located in front of large windows that overlook a great variety of bird feeders. These feeders attract the species described in the book. 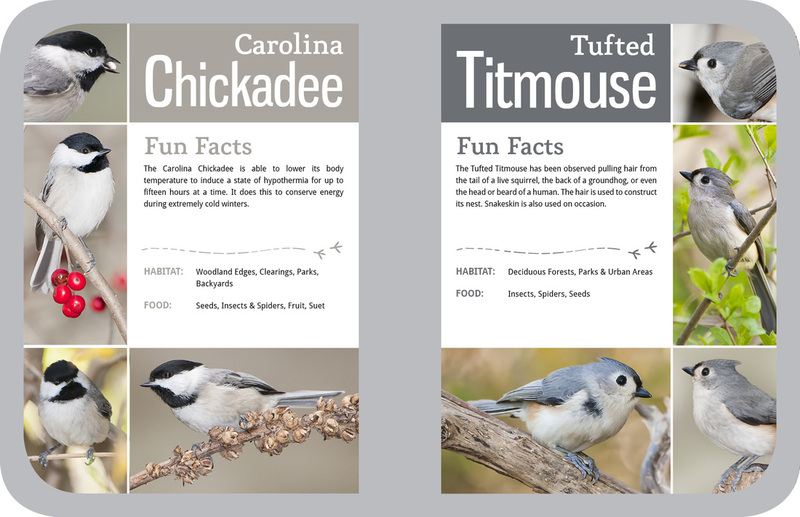 Behind the feeders is an incredible view of the forest the birds inhabit. 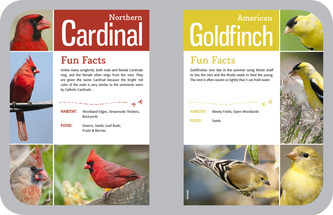 Viewers can watch the birds feed up close, as well as, observe them in their natural habitat. 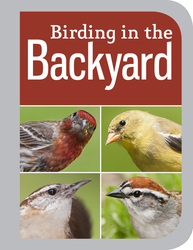 There are 17 species of common backyard feeder birds represented in the book. 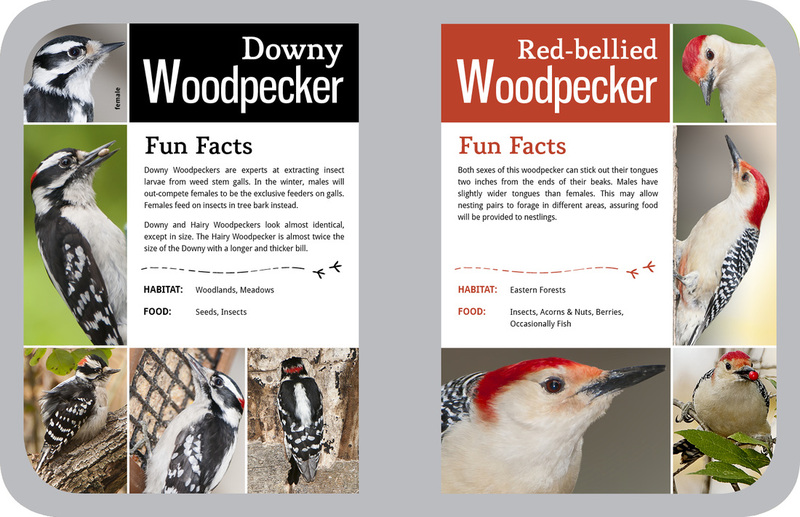 I chose dominant colors from each bird to use in the design. I wanted the pages to be vivid and full of inviting details since there was very little text. 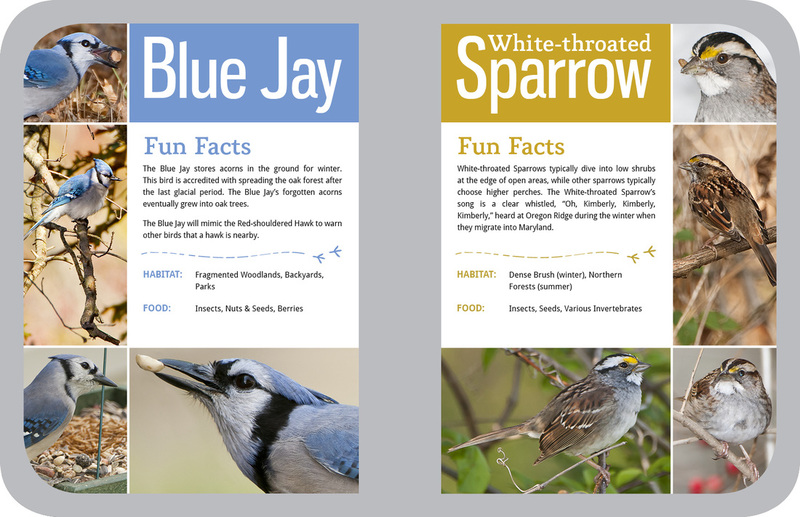 I chose photos that presented common behaviors and views of the birds to help add content and aid the viewer’s ability to use the photos to identify the birds. 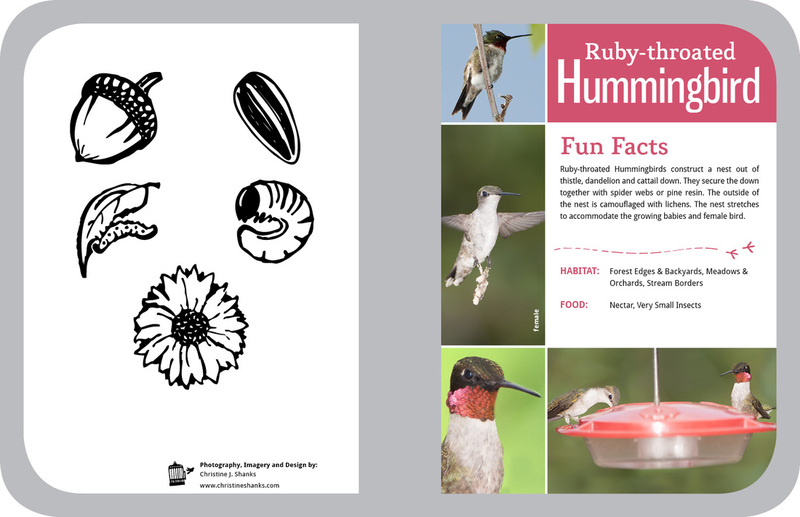 For the introductory page of the book I created several illustrations that resemble printed carvings. The drawings represent common wild food items mentioned in the book.